Summary: Excellent ventilation, top marks for safety, comfortable, quiet and excellent build quality. One of the best. A Nice looking crash helmet that comes in 28 different colour schemes. Being phased out but deals still around. Billed by Shoei as a premium sports touring helmet, the XR-1100 is also Shoei’s best-selling helmet to date (which given that Shoei are renowned for making some great helmets, is a pretty good recommendation in itself). The shell is made of multi layered fibreglass composite and the shock absorbing interior has two densities to give effective shock absorption for the head. It gets top 5 star marks from the SHARP testing scheme so they must be doing something right! One of the notable features of the XR-1100 are the vents on the top. As well as the expected chin and forehead inlet vents, it’s got four cool-lookin closeable exhaust vents on the top rear of the shell (and we all want something that looks cool don’t we?!?). And the good news is that riders report that the ventilation really works well – both in terms of keeping your head cool and the visor fog free (OK fog free is relative when you’ve got a pinlock visor insert in as standard!). Also, it’s worth noting that Shoei have one of the best and quickest visor removal mechanisms of all – great when you need to clean your visor regularly if you use your bike daily. Onto noise. It’s really quiet. 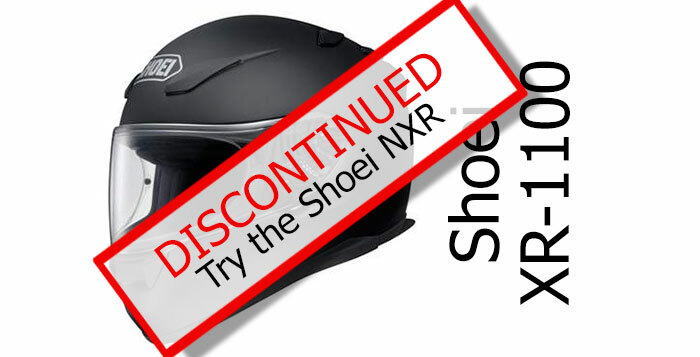 It’s windtunnel tested, so say Shoei, which should help, and road testing does confirm that it’s particularly quiet. It’s not ride-without-earplugs-on-a-motorway-quiet, but quieter than most of the competition. And to be honest, at today’s speeds, we all should be wearing plugs and no helmet is going to effectively baffle wind rush at motorway speeds. The XR has a nice quality feel to the interior and features removable cheek pads and liners – again, great if you use the helmet a lot and need to clean it, inside and out. It also has room for speakers if you’re interested in fitting speakers or bluetooth plugs. 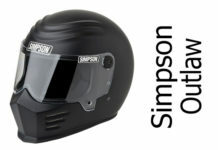 If you’re trying to get a balance between cost, safety and performance amongst the current crop of crash helmets for sale (and aren’t we all?) 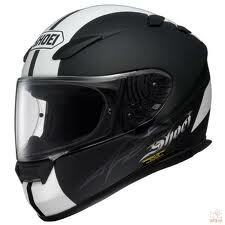 then the XR-1100 Shoei is arguably one of the best placed helmets on the market. For other helmet reviews check out either our Crash Helmet Reviews or SHARP 4 & 5 Star Crash Helmet reviews sections! And, as always, if you have experience of the XR-1100, please add your thoughts in the comments section below – cheers! 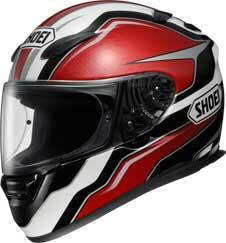 Interested in buying a Shoei Helmet? 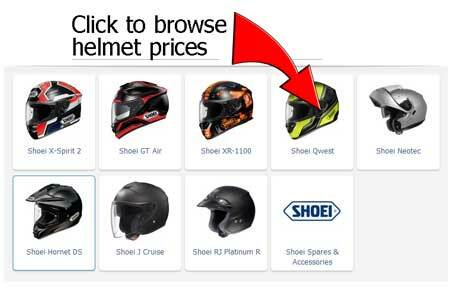 If you found this review useful and you’re interested in buying an XR 1100 or other Shoei crash helmet (or see some prices) – please check out the prices by clicking the link to the page at FC-Moto below where, at the time of writing, the XR1100 is still available. If you buy from there, we get a small sum from the sale – thanks! 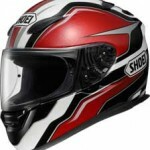 Shoei's top selling helmet scores well in every area. It gets top marks in the SHARP testing lab, and is a good, solid performer on the road. It's no frills but you get that great Shoei build quality. All in all a worthwhile place to invest your money.